Every so often, I get really sick of being stuck indoors. I'll demand that my husband drives me somewhere for some sort of adventure, but usually, neither of us can think of where we'd like to go. Googling usually brings up the same places time and again, either somewhere we've recently visited, or somewhere too far away for a day trip, but still I love scanning through the articles invitingly titled '20 places to visit in Scotland before you die'. And thank the lord I did, otherwise, I'd still be completely unaware that this place existed. Finnich Glen is a 70ft deep gorge hidden away from the world, just off an A road near Drymen, in the Trossachs. Once I'd seen the photos of this place, I gathered up the troops and we made our way there... to be confronted by a wall. There was a clear entrance to the woods above the gorge, but this had been locked and reinforced by a surrounding barbed wire fence. Someone really didn't want us going in there (probably from the massive risk of breaking your neck) - but we ignored them, found a break in the defences and scrambled over. Walking through the wood at the top of the gorge was precarious enough - that drop is steep and I'm scared of heights. I was cringing when the others dared to get close to the edge, standing a good 15 metres behind and wrapping myself around the sturdiest-looking trees I could see for good measure. Anxiety is a funny old thing. Some days it traps me in my house, unable to even contemplate going to see my own family members. On other days, it pisses off completely and lets me valiantly attempt to make my way down the steepest, slipperiest set of steps I've ever seen (with the cutest, not-at-all-terrifying, nickname of the Devil's Staircase), clinging for dear life to a 'rope' about as wide as a shoelace and hoping to god I don't fall to my death - possibly taking out all my loved ones in the process. Any nervousness I did have was completely rational and justified, trust me! When I tell you this was the scariest staircase I've ever faced, it... well, it doesn't really sound that impressive a claim does it? I mean, stairs aren't really that scary, in general. Anyway, these ones were! This staircase was apparently built in around 1860. Now, I thought people were all short in the past, but these guys must've been giants. The blocks masquerading as steps were so large and far apart that my tiny wee legs (I'm 5'2") couldn't actually reach them. In the end, I completely gave up any semblance of dignity, opting to maintain my life instead, and I literally sat down in the mud. This probably would've been fine if we were the only ones there - but of course, we weren't. In fact, three men had to stand at the bottom of these steps and watch me effectively slide my way down them like they were a waterslide made of rainwater and mud. Cool as always, Woods. I'm so glad I made the effort, though, because it is the most ethereal place I've ever set foot in. You're surrounded by steep moss-covered walls of red sandstone, and water that in some lights looks blood red (or perhaps a bit like Irn Bru?). It's said that this was a meeting place for Druids, and there's definitely an interesting vibe down there - it's not scary at all. Instead, it's very peaceful and quiet. You can definitely see why productions like Outlander have chosen this setting to film in - although how they managed to get actors, crew and camera down the Devil's Steps I have no idea. The actual Devil's Pulpit is a circular rock that lies upriver from the area we were in. There was too much water (joys of it being February) for us to get over to it, although if you were feeling really brave (and had a change of clothes) you could probably wade through the freezing cold river to reach it. If the name didn't give it away, it's said that the Devil perched upon this rock to preach at his followers. Creepy. You can just about see the rock in the background of the pictures above. This spellbinding, enchanting little gorge is otherworldly - there's no other way to describe it. It looks and feels magical. 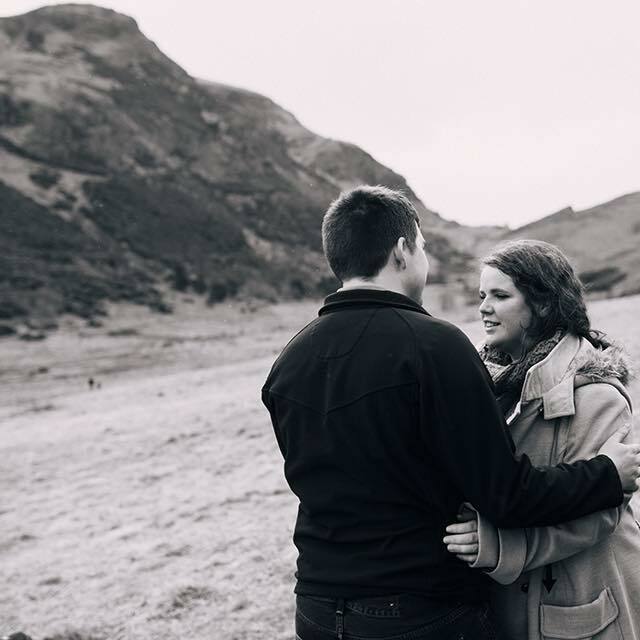 Whatever it was used for in its past, it's a little hidden gem that shows off the beauty of natural Scotland, and I'm so glad I risked my neck for a chance to experience it. Have you been on any risky adventures lately? 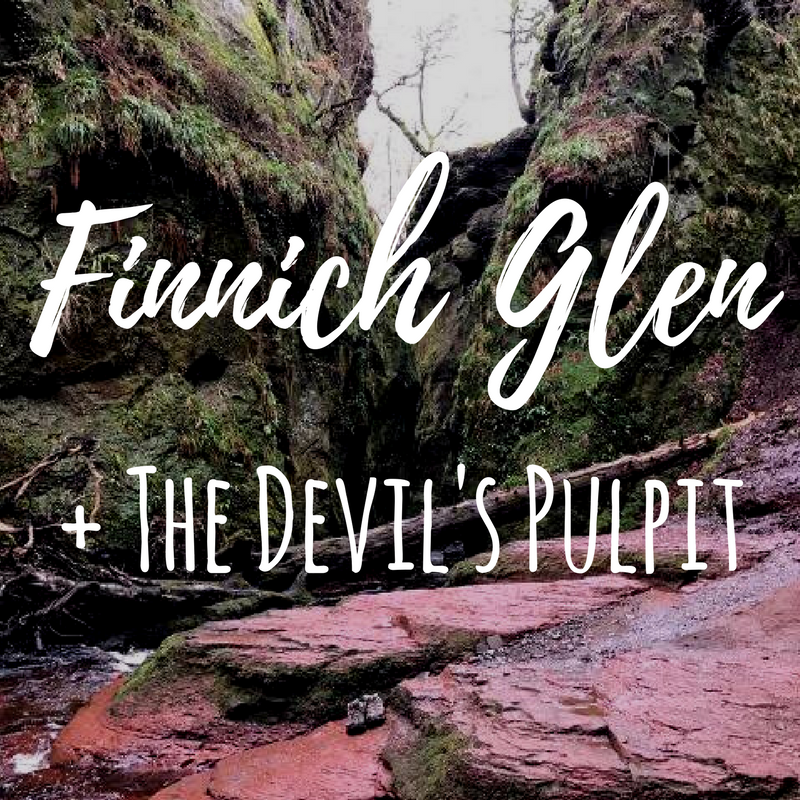 Would you brave the Devil's Staircase to see Finnich Glen? Wow, this looks incredible! Such atmospheric photos! 😍 I'm glad you managed to drag Blair along! This is exactly how I picture Scotland, incredibly beautiful and full of surprising places just like this! So glad to hear that your anxiety didn't impact upon the day and that you managed to explore this incredible scenery! Much love - you're killing it with your blog lately! !